I bought a big gas guzzling suv, and I love it. Re: I bought a big gas guzzling suv, and I love it. Manual transmissions are going away, too. Floppy paddle shifters are just automatics in disguise. This will be a sad day for me. They are a pain in stop and go traffic, but they are the best if you are out driving for the sake of driving. @mileallison Manuals are still the norm in Europe. I'd not heard of a hill holder before, though I remember spending hours mastering hill clutch control when I learnt to drive. I've never had a problem with manuals (e.g. stop and go). Then again, I make a large effort to never sit in traffic (picking times to leave/arrive, prefer walking/biking, avoiding ever braking while in traffic). The only thing I can think of that was a pain was trying to text and drive or talk and drive... even after mastering shifting with the side of my hand (mostly between neutral, 1st, or 2nd). 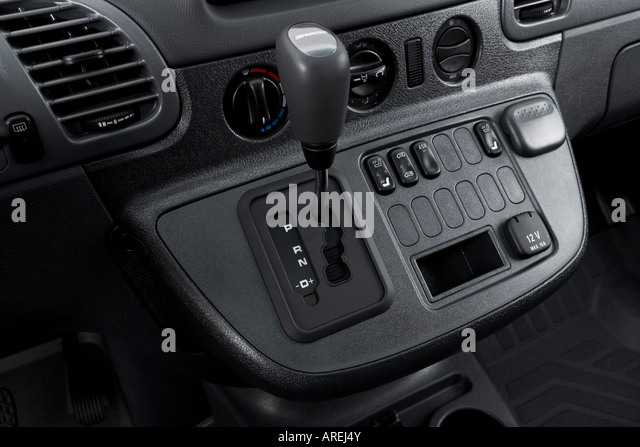 Manual transmissions have never really been a thing in the US (during my life-time, at least).. is there a specific niche that has been moving to automatics (e.g. paddle shifters mentioned, so maybe rallycross, street racing cars? I think trucks already transitioned away from manual decades ago). My Insight is a 2004 (very modern to me) and it has a 5 speed manual. But I know the later Insights didn't have that option. Doesn't matter, after I retire I'll probably just have my '58 Chevy Napco and my old motorcycles. No automatics there. @Mikeallison I lusted after a Landcruiser but I bought one of the other Toyota SUVs. I get a solid 15mpg or so on the highway. Before this vehicle, I only had sedans and station wagons. The Toyota has a V8, 4WD, tons of seating, decent tow capacity and it is just one serious road trip vehicle. I don't use it to commute -- I'd probably not enjoy it that much for that. But I love driving it. It is so comfortable and it makes me slow down (just feels wasteful to drive it aggressively). I originally bought it for the towing capacity but now I love it. It is a California model with a 135k miles and I plan on getting at least another 100k out of it. @Mikeallison I lusted after a Landcruiser but I bought one of the other Toyota SUVs. What did you end up with? A sequoia? I've always been curious how those compare to the land cruiser, they are very similar on paper. Even the engine is the same. Last edited by Mikeallison on Thu Apr 05, 2018 3:59 pm, edited 1 time in total. @ Mikeallison Yes, I ended up with a Sequoia. I didn't really start out with that in mind but after cross shopping Landcruisers, 4Runners, Sequoias and the equivalent from American brands, it seemed like the Sequoia was the best bet (in terms of actually being available locally in good shape for a decent price). It's an older one so it's smaller than the current Sequoia but I think bigger than current 4Runner or about the same (but with 3 rows of seating or 8 full seats). We've actually used that capacity while on family holidays to say go pick someone up from the bus terminal. I'm also really happy with the 4WD -- it's not as fancy/specialized as the Landcruiser and some 4Runners but it definitely works well on roads/highways in midwest snowstorms. Our families are spread out and we almost always end up doing at least one big winter road trip. It's definitely doable with a smaller FWD vehicle but it is much nicer with the Sequoia. To me, it's a luxury I'm really happy we have. Sounds like we are on the same page, but my commute is so short I don't mind using mine as a daily. It's amazing how similar they look, I still occasionally mistake the sequoias for another landcruiser. To be honest, I thought I'd never really post too much about it here because it doesn't seem quite FI/ERE related. I needed a vehicle to tow when we moved from California back to the midwest. I could have rented something (well, I did rent a trailer) but I wanted a road trip vehicle for the midwest too. And renting a vehicle that can tow to go one way on that long a trip gets expensive. The more I read about the reliability of the that Toyota V8 along with the rest of the drivetrain, the more it made sense. I paid a bit high but in California not as many 4WD and demand was high. So it was about $14k with taxes. I was willing to overpay to get one when I needed and avoid the rusty frame issue. The two big problem areas seem to be the rusty frame (there is a whole recall on it) and rear air suspension (I got a model without it). I didn't want to buy new or newer because of how expensive these vehicles are and I wasn't sure I wanted an SUV. But now I'm sold. Our other car is a hybrid so it kind of balances out in a way. And the total cost of ownership of the SUV I ended up with seems reasonable for what I'm getting. I can take the risk on an older vehicle without much fear due to savings. There are some potential issues that can be expensive (traction control ecu, mines good so far) and maintenance (timing belt, I'll probably do this myself along with water pump and all of that). Any modifications you did on your Landcruiser? You bought a big gas guzzling suveineir and loved it?